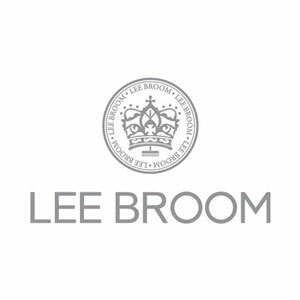 Lee Broom' is a signature brand by one of the UK's leading product & interior designers - Lee Broom. Since 2007 he has released over 75 furniture and lighting products, which he designs and manufactures under his own label and has created more than 20 products for other brands. He has won more than 20 awards including the prestigious British Designer of the Year Award in 2012 and won his 4th award in 3 consecutive years in the British Design Awards for his renowned lighting product, the 'Crystal Bulb' in 2013. In April 2015 Lee Broom received a Queen's Award for Enterprise – the UK's highest accolade for business success. The company received the award in the category of International Trade, in recognition of achieving significant international growth and increased year on year export figures. A supporter of British manufacturing techniques, Broom designs, manufactures and retails his own collections, in addition to collaborating with leading brands including Christian Louboutin, Mulberry and Matthew Williamson. Having started out in theatre school - a beginning which has greatly influenced the sense of drama and narrative that his collections create - Broom's career took a change of direction after he won a fashion design competition at the age of 17. This led him to meet and then go onto work for the legendary designer Vivienne Westwood, after which he studied for a degree in fashion design at Central St Martins. In 2007 the Lee Broom label was launched with his first furniture collection entitled 'Neo Neon' which received critical acclaim and since then he has launched two new collections each year during Milan Design Week and The London Design Festival, which sell globally. His products are now sold in over 120 stores and in 40 countries worldwide. Lee Broom has been described by The Financial Times as "Among the most respected British Talents".